Select highways across Wisconsin now have a 70 mph speed limit. It's reported that all of the signs are now up along the designated sections. Once the signs are in place, the new speed limit is in effect. 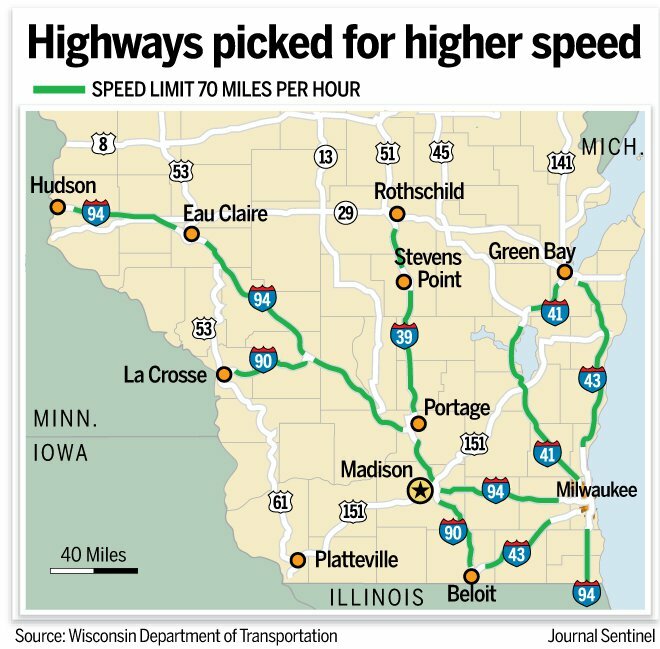 Below is a map from the DOT courtesy of the Journal Sentinel outlining where the new speed limit will apply. Remember, speeding tickets in Wisconsin are issued based on the range of miles per hour over the limit. If you're not sure what the speed limit is where you're driving, stick with assuming it's lower. It will be much easier for drivers to get close to or more than 25 mph over the limit, which carries a 15-day license suspension.